There's no doubt that leather furniture provides events and exhibitions with a sense of style. 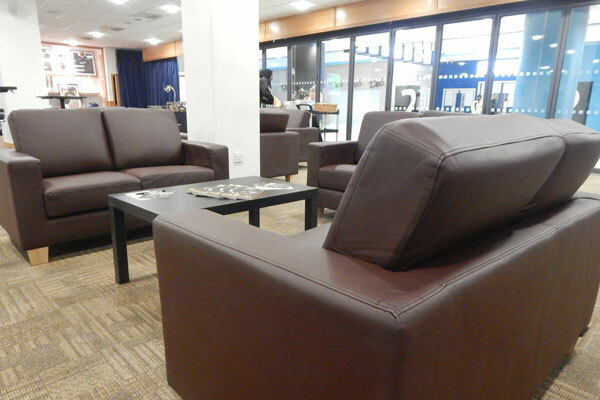 Leather products, in whatever guise, are usually quality, and this goes for the range of leather furniture hire products available from Event Hire UK. It might be that you need to hire leather settees and armchairs for an area within your marquee at your wedding for your guests to gather and socialise in quiet away from the main party. Likewise, you might want leather furniture rental for your corporate hospitality event maybe in the bar area, providing style and comfort for your guests. Alternatively, you might be attending a trade show or exhibition and need to hire leather furniture for your exhibition stand - after all, leather furniture will help to create a super first impression when guests and visitors approach your exhibition stand. And what about amateur and professional sports clubs wanting leather furniture rental for their VIP or members only lounges for the pre-match and post-match hospitality bars and areas. Here at Event Hire UK, we offer a range of leather armchairs and sofas for hire available in different styles and also colours, including black leather armchairs, brown 2 seater settees for hire and 3 seater settees and also black leather furniture hire. Whatever your requirements, the chances are that Event Hire UK will be able to assist. Take a look at our range here online of settees and armchairs which lies within our wider furniture hire range, and get in contact with our expert sales team today.